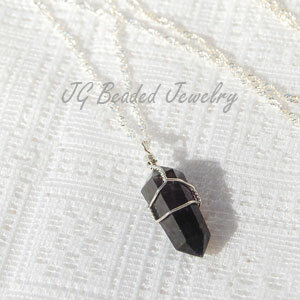 An amethyst crystal necklace that is carefully wire wrapped by hand with sturdy wire. 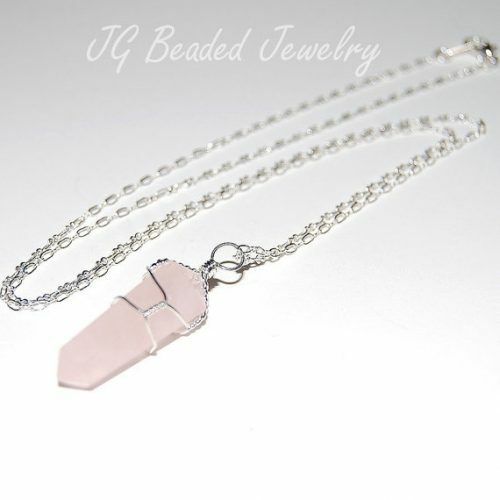 The amethyst crystal necklace is made with a double terminated (points on top and bottom) natural amethyst crystal that hangs from an 18″ silver twist style chain and has a one inch extension chain attached to allow for length adjustment. 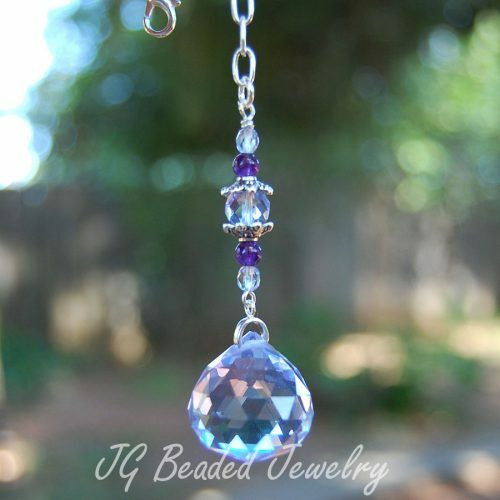 Amethyst bestows stability, clarity, strength, peace and spirituality. 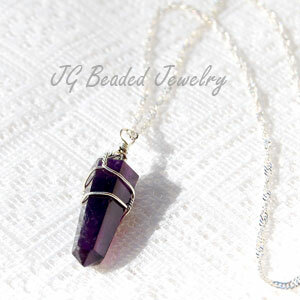 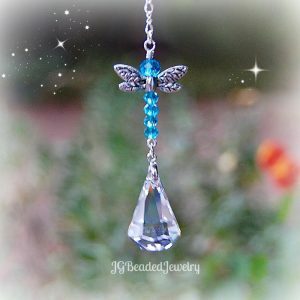 PLEASE NOTE: Each amethyst crystal necklace is made with a natural crystal so they vary in size (long/short/thin/wide), color (light/dark/both) and unique markings (white markings/no markings). 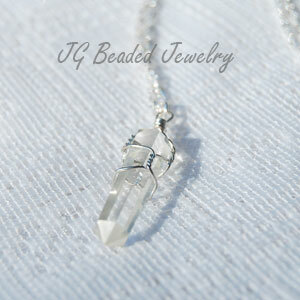 Please see picture #3 to get an idea of the variations, as these are stock photos. 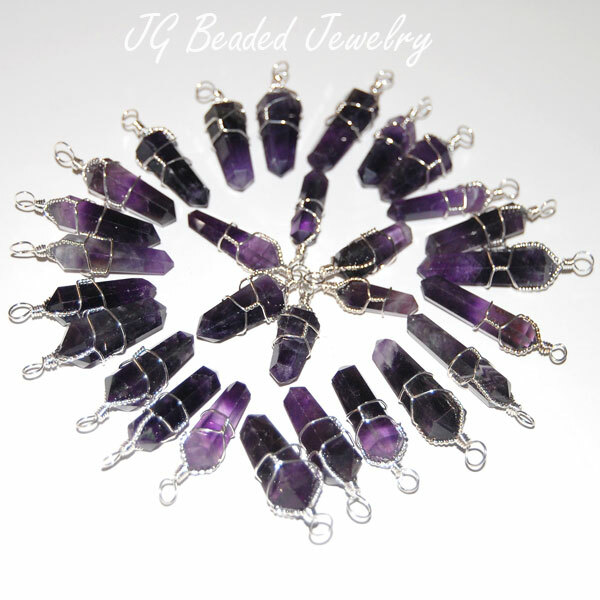 Each piece of amethyst is naturally beautiful!